Back in November for Critical Correspondence, I spoke with San Francisco-based choreographer Laura Arrington, to confer about the creative process for her newest work Wag. Last year, Milan based organization Perypezye Urbane invited Milka Djordjevich, Ursula Eagly, Walter Dundervill and Jenn Rosenblit to present solo works in the 4th edition of the Solo in Azione Festival in Milan, Italy July 2-4, 2011. 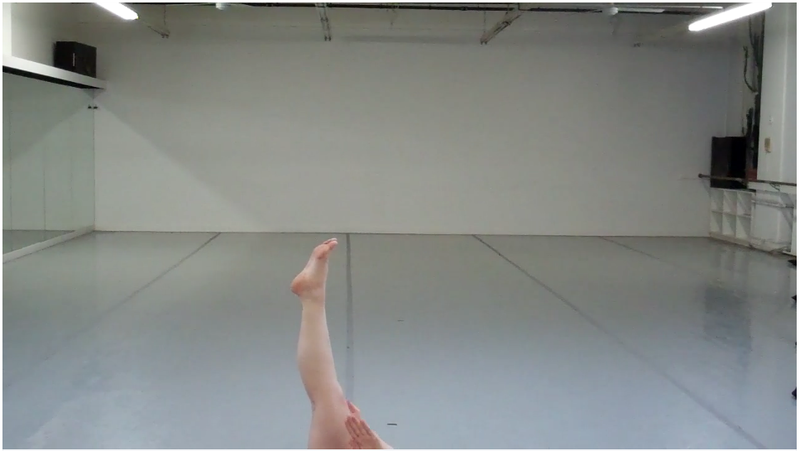 One-Shot is a web-based, solo performance relay, curated by Sarah Maxfield and produced in collaboration with the Gibney Dance Center. A part of An Evening with Djordjevich and Peck September 12, 2009 at The Chocolate Factory Theater, by Milka Djordjevich & Chris Peck. What would the music be without the dance? I will be leading a dance session as a part of the Movement Research Spring Festival 2009: Roll Call. Come and enjoy a dynamic, rhythmic, high-energy communal movement session for people of all levels and interests. Drawing from elements of social, folk, and contemporary dance forms, as well as athletic training, we will discover the kinaesthetic sensitivity of a dynamic body-in-motion. We will continuously locomote through space discovering co-ordination potential, while rocking out to some sweet jams. [vimeo http://www.vimeo.com/2719174] Monday, December 8, 2008, 8:00pm Movement Research Fall Festival at Judson Church Générique: presentation of everybodys toolbox Realized by DD Dorvillier, Milka Djordjevich, Trajal Harrell, Sarah Beth Percival, Annie Dorsen and audience. The Transversality Lab was an Austrian/NYC exchange that took place on June 2, 2008 at Judson Memorial Church during the Movement Research Spring Festival 2008: Somewhere Out There. Featuring from Austria: Company Two in One, Julius Deutschbauer, Matsune & Subal, united sorry (Frans Poelstra and Robert Steijn), and theorist Gerald Raunig. The Transversality Lab was a collaboration between ACFNY, Tanzquartier Wien, the Austrian Ministry for Education, the Arts, and Culture, and Movement Research.